Enjoy this free PowerPoint lesson to teach RL 2.1 to your students. 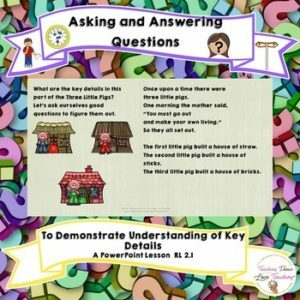 This lesson is designed to help your students ask and answer questions to find the key details in their reading. RL 2.1 Learning How To Ask Questions to Identify Key Details and the Main Idea.